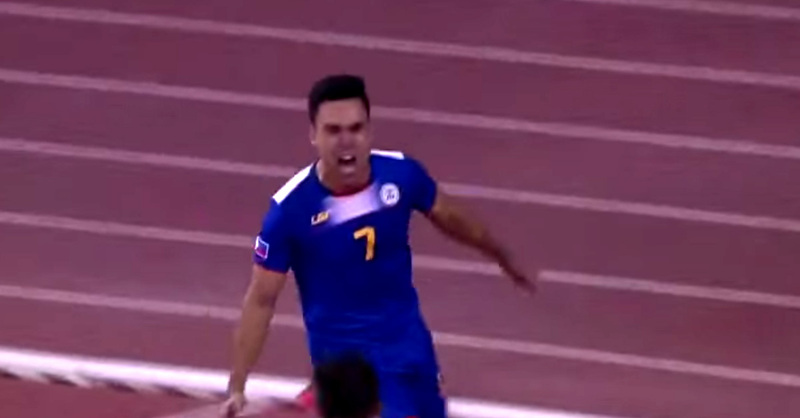 Misagh Bahadoran, the Sandstorm of Doha, celebrates the opening goal. Those among you who bothered to sneak a peek at the match between Yemen and DPR Korea, played the same night we defeated Bahrain, would have known that we would be coming away from Doha with a second World Cup qualifying victory. You would also have known that Yemen would sit back and frustrate; and while offering little going forward, would be difficult to score against. After all, for all their stature and fleetfootedness, the North Koreans could only manage that solitary goal. So with a comfortable 0-2 victory over Yemen and six points in the bag, coupled with DPR Korea’s 4-2 home victory over Uzbekistan earlier in the day, we all suddenly wake up the next morning with the shock realisation that, to quote a Randy Jackson cliché, we are in it to win it. Not that we will; and indeed, in football, things are never quite as simple as extrapolating the match results. Many things can happen between now and September, when the next round of qualifiers will be played. But while Thursday’s comprehensive victory over Bahrain gave us shots of quiet optimism, last night’s victory in Doha opened a door to an entire realm of possibilities few of us dared ponder just a week ago. Although the first half last night was ultimately goalless, there was a real belief and swagger to the way the Philippine Azkals played. Passing was crisp and to the feet; movement was superb despite the Middle Eastern heat; and the work ethic instilled by Thomas Dooley had the team attacking and defending as a unit. 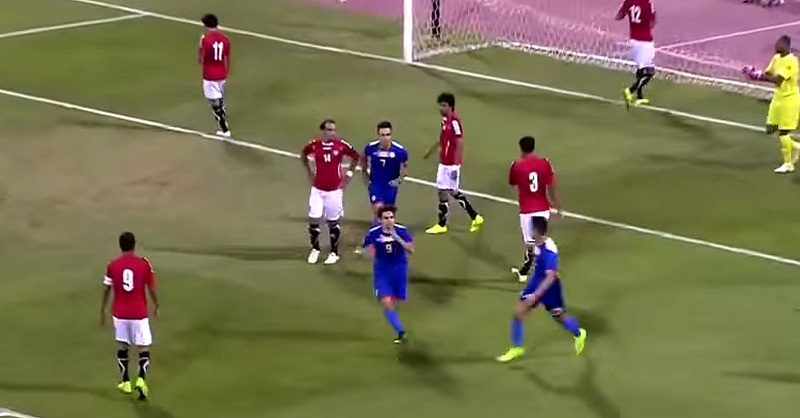 As with the Bahrain match, one or two speculative over-the-top balls from Yemen could have been dealt with better; and indeed, Filipino hearts skipped a beat when Neil Etheridge sent Aiman Al Hagri tumbling over inside the box. Replays showed that Etheridge got to the ball first; but doubtless Dooley would have scribbled a note or two about the long balls. The quickfooted North Koreans, for one, will feast on these. The breakthrough, when it came, was one for the Guggenheim Museum; and for Misagh Bahadoran, when it rains it does indeed pour. Bahadoran had played the first half like the Sandstorm of Doha, tearing down the right flank and getting behind the Yemeni defence several times to set up chances for the Azkals. Iain Ramsay after scoring his first international goal. How fitting was it then for Bahadoran, who did not score until his 37th international in the earlier match against Bahrain, to grab his second goal in as many matches and crown his team’s performance with the goal it so thoroughly deserved? Bahadoran exchanged touch passes with Javier Patiño right side of the box in the 52nd minute, swivelled around a phalanx of defensive players and planted a wicked left-footed shot past Mohammed Ayash into the roof of the Yemeni goal. To their credit, Yemen came out of their defensive shell after the Philippines had gone ahead and tried to make a game of it. The debuting Luke Woodland, still a babe at 19 years, was however a rock in front of the Philippines goal. Yemen did contrive to take a few shots at the Philippines goal; but Etheridge, the penalty scare apart, was safety personified all night long and was not going to be beaten from distance. As the game drew to a close, Patiño slipped his marker to get behind Yemen’s defence and crossed for Iain Ramsay to put the game to bed. Patiño might have failed to add to his goals tally last night but showed a mature aspect to his game by being goalmaker rather than goalscorer. As for Ramsay, he will score few goals as simple as that tap in, so precise was Patiño’s cross. Ramsay had reportedly held out from joining the Azkals in the hope of getting a call up from the Socceroos; but the way he rushed to the small expatriate Filipino crowd behind the goal after scoring showed where his loyalties are now firmly planted. 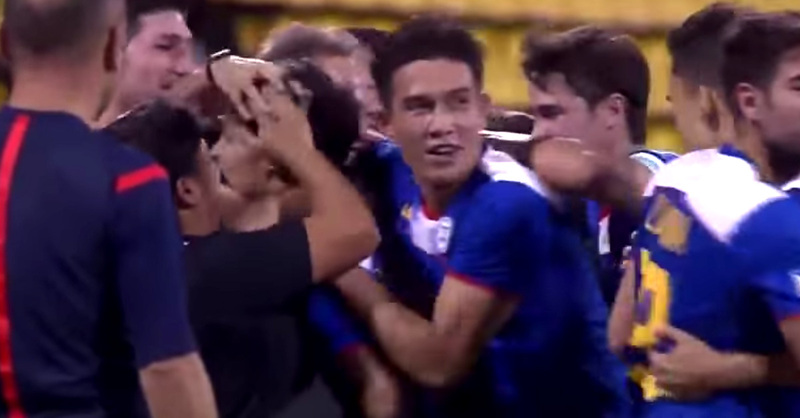 The entire Philippine team celebrating Bahadoran's goal. My Man of the Match: Misagh Bahadoran. The Sandstorm of Doha might have gotten into the scoreboard as early as the second minute when he slipped Yemen’s defence with a cheeky run. Rather than finishing, he opted to lay off the ball to an onrushing Ramsay, whose shot was smothered. That should not detract from Bahadoran’s performance, which was passionate and inspired. He was giving Yemen’s leftback a torrid evening with the sort of accomplished classic wing play that we seldom saw from him in the past. It was unfortunate that he had to be substituted soon after scoring, ostensibly from a cramp; but he left the field after having given one of the most accomplished performances by an Azkal in recent years.